One of my favorite songs is Sara Evans, "Perfect". The lyrics speak to the fact that everything in a relationship doesn't have to be "perfect" ~ dinners by candlelight, trips to Paris, lingerie, for a relationship to be great. Thank God for THAT! Cause' every day of my marriage doesn't consist of those things, only sometimes. Today Larry and I didn't have a dinner by candlelight, we had a cuban sandwich lunch out of a paper bag. Last night after our women's connection night at Celebration I needed a place to take our guest speaker, Tammy Young, for dinner. Karen, a friend of Tammy's, was assisting her on this trip, and we were also joined by my husband. 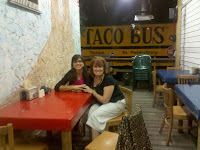 We dined at a place called Taco Bus. We've been hearing rave reviews of the Taco Bus from our presbyter, Mike Tedder and his youth pastors, Mark and Allison Goss-Lara. 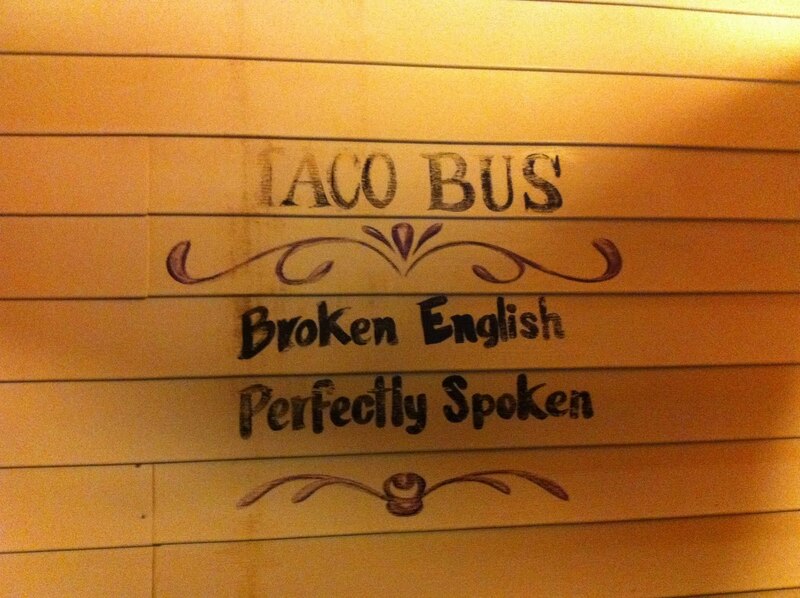 They talk about Taco Bus alllll the time. How much they love the tacos, the tamales, and more. Mark informed us that they are open 7 days a week, 24 hours a day and whether you go at 3 pm, or 3 am, there's ALWAYS a line. I needed to find somewhere that was open late. 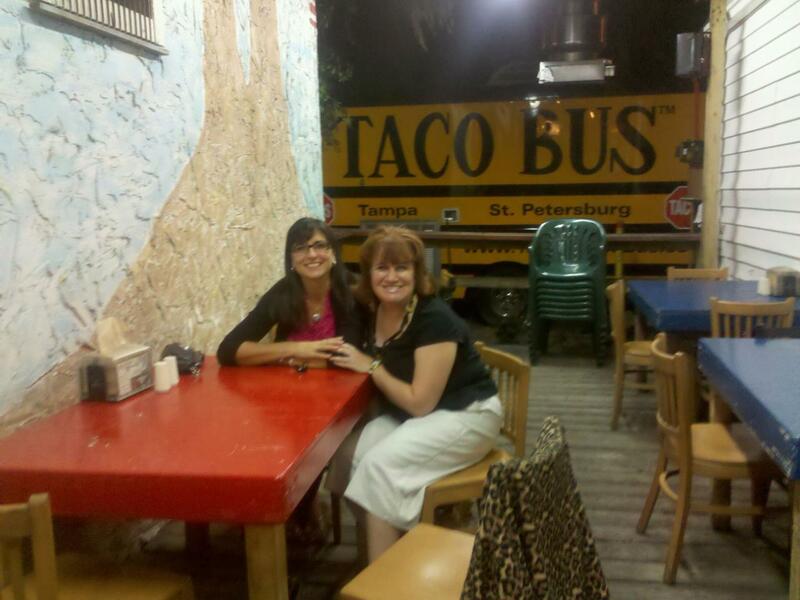 I knew although I hadn't tried Taco Bus before even if it was horrible Tammy wouldn't hold it against me, good friend that she is. Well, not only did she LOOOOoooooooove Taco Bus, but she says she's going to make some trips to Tampa to bring some people. It was a hit! 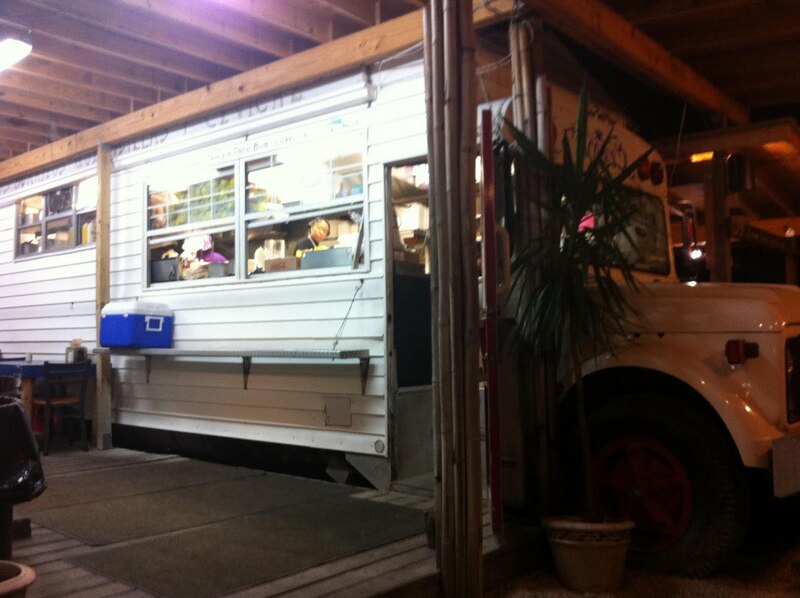 Taco Bus is a true experience. You DO feel like you're literally in Mexico, and you DO eat out of a bus. Best of all for Larry & I watching our weight, they do NOT fry their tacos and we figured them up to be 150 calories a piece. I realized something last night and that is if you have great food you can even serve it out of a bus and people will come. How many times have I thought everything in the church needed to be "perfect" for people to come? There are Sundays I cringe because certain facilities things are out of place. While I'm not minimizing the wisdom of those things being fixed, the fact is, if there is great spiritual food, people will come. Let this be an encouragement to all of you leaders who, like me, sometimes want to scream about your facilities problems. People want great food. They don't always have to eat it by crystal and candelight. In fact sometimes I've gone to an expensive place and gotten a small tasteless meal. Great food matters a great deal. So serve it up, even if one of your ceiling tiles is fixin' to fall down. You were right! You've never steered us wrong...appreciate you.